We have been acclaimed as one of the most coveted and trustworthy manufacturers, suppliers, traders and distributors of this high quality range of Hypertherm Plasma Consumables. Customers can avail it from us as per their requirements as we have a wide variety of specifications on offer in this range. 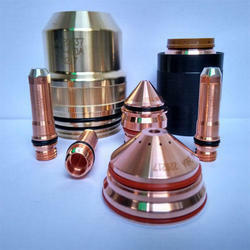 Designed in conformation with the international quality norms, all these consumables are easy in usage. 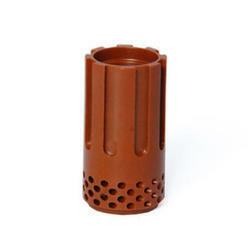 APH make Hypertherm Plasma consumables is suitable for Hypertherm pmx 65,85,105 Hypertherm plasma cutting machine. 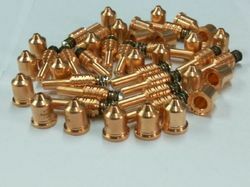 We are leading distributor and wholesaler of all types of Hypertherm Nozzle 220011 100 Amp.Hypertherm consumables,Hypertherm plasma spares,Hyperhterm Plasma consumbles,Hypertherm pmx 65,85,105,125 parts. Looking for Hypertherm Plasma Consumables PMX 65 ?